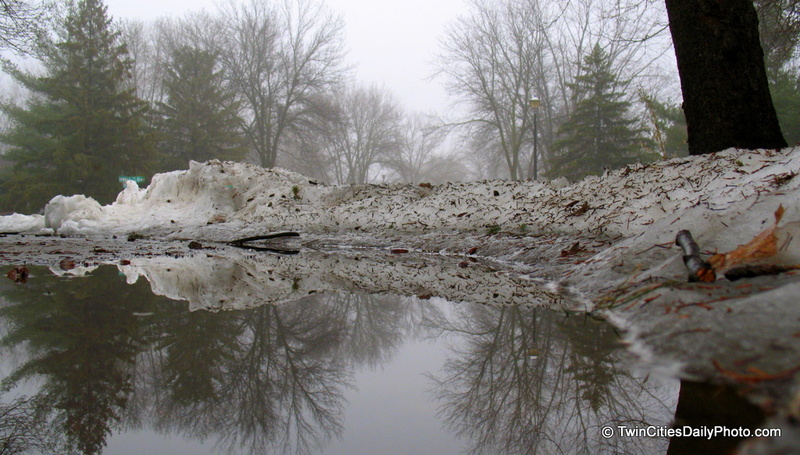 A melting snow bank in my driveway made for a unique photo opportunity. Awesome shot! I love the fog, and that reflection is perfect. Nice work.